As another attempt to better myself at the art of wine tasting, I decided to purchase a training tool called, Le Nez Du Vin, to help me identify particular wine aromas in different wines that I taste everyday in and around Napa Valley. Here in Napa Valley, wine tasting is a fun and enjoyable way to meet people, visit beautiful wineries and enjoy ‘beaucoup’ (many) wines of all types. When being (or acting) like a serious taster, one must use the five steps for successful evaluation of a wine – color, swirl, smell, taste, and savor. The smell or aroma of the wine is one of the most critical portions of the wine assessment process. Without the complex aromas wafting in the glass, wine would be much less enjoyable. I’ve been told I have a pretty good nose, meaning I’m fairly good at picking out aromas in wines that other people don’t. 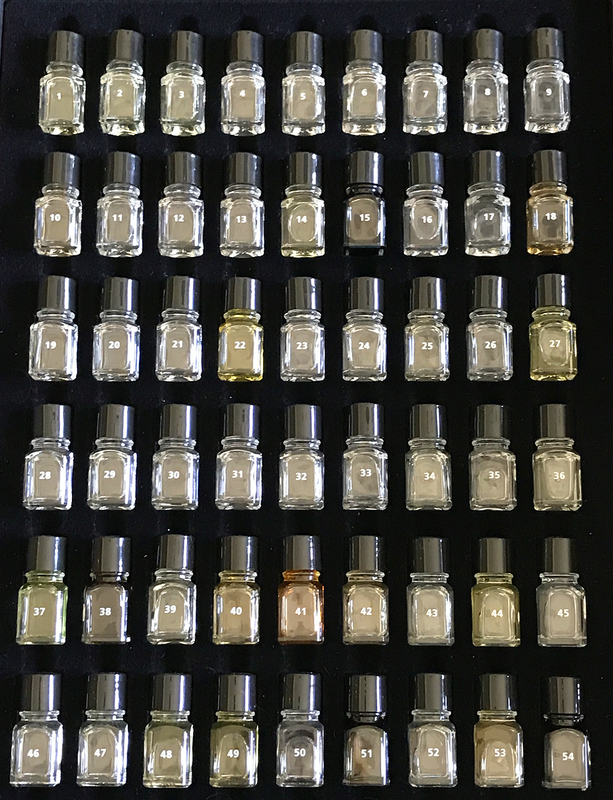 With that said, I wanted to train even further with Le Nez Du Vin, literally translated ‘The Wine Nose.’ This comprehensive sensory course by Jean Lenoir comes with 54 different aromas in tiny little glass containers representing some of the most significant and widespread smells you would find in both red and white wines. The aromas are categorized into five families, fruity, floral, vegetal and spicy, animal and roasted. The same aromas are also classified as primary, secondary and tertiary aromas, each created at different points in the winemaking process. The course also comes with flashcards that correspond to the numbered glass container. 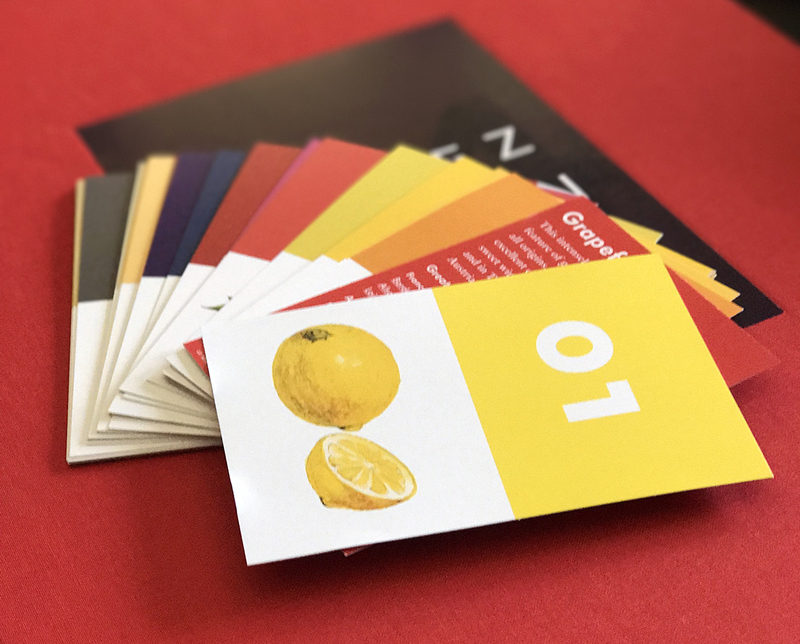 Each flash card has a number and illustration of the aroma as well as detailed information on the back. My first time I opened the course, packaged in a beautiful red, fabric covered case, I thought, no problem, I will just get right to it. I started opening random bottles to see if I could guess what each smell was and then find the corresponding card. Well, I failed on every one I opened, except for lemon, which was a no-brainer. The proper way to use this set of wine aromas is to select about ten aromas and blindly smell them, taking breaks throughout and taking your time. Using the cards help you associate the smell with the illustration so when you smell the scents blindly again, you will be able to recognize the aroma. In theory, you will be able to associate these aromas when you start smelling the wine. Some wine aromas are easier to memorize than others, lemon, grapefruit, green pepper, and the dreaded truffle, to which I have an aversion. 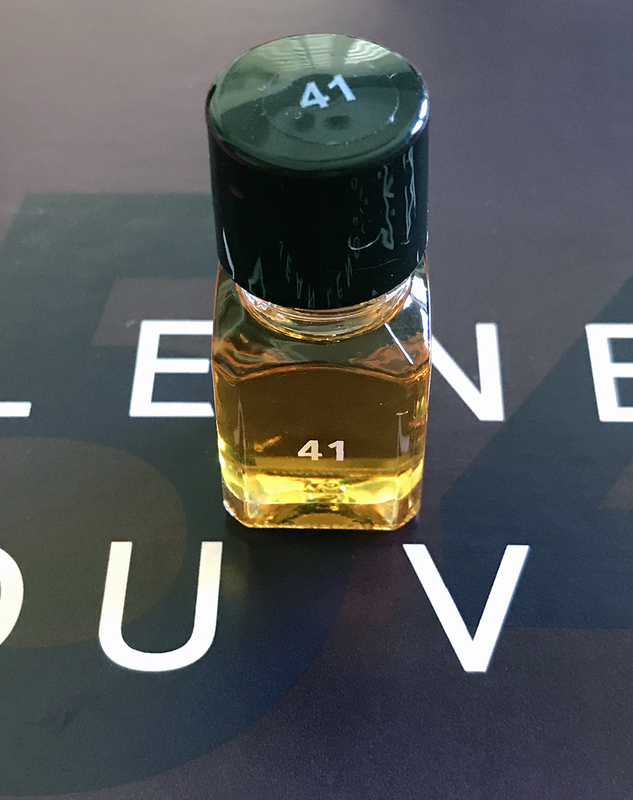 Then there are other aromas in the course that most people have never seen or heard of in relation to wine, bilberry, hawthorn, and linden. These are a more challenging, but if you are a master bullshitter, you can always throw a few of these words around in front of your friends, making you look like a pro. But of course that is not our goal here, our goal is to better ourselves in recognizing the delicate nuances in a single sniff of Cabernet or the powerful citrus on the nose of a sauvignon blanc. These are just as important as tasting subtleties of each varietal as it travels down the palette. This 54 scent course is called ‘The Masterkit’ and is not the only course they have to offer. Another important aspect in wine tasting is identifying wine faults. I can’t tell you the number of times I have been to a tasting room and the wine that they have been pouring all day was corked or cooked because the wine educator did not quality control the wine. This situation happens to me more times than it should. Le Nez Du Vin makes a ‘Faults’ course which helps you spot out a corked, oxidized or cooked wine. I’m sure the aromas in this course are not as pleasant fruity and floral scents, but I think more people need this kit so we can call out the bad wines poured at the winery or local restaurant. It’s also important if you buy a nice bottle of wine because if it’s faulty, the winery will exchange it for you. Le Nez du Vin also does some aroma courses that aren’t wine related. Brandy, coffee, and whiskey aroma training kits are also available if you are not into wine as a whole. If you think 54 aromas are too much to take in, smaller courses are available focusing on Champagne and white wines, red wines, oaky aromas and the six common aromas found in an array of different types of wines around the world. My palate and wine sniffer are always changing. Le Nez Du Vin has given me a better vocabulary and grasp on the smells that I couldn’t describe with words, but I think I have a long road to go and many, many, many more wines to try.